Kawasaki has unveiled the Z125 and Z125 Pro at the 2015 Tokyo Motor Show. These mini street fighters are expected to hit the South Asian market and will compete with the Honda Grom MSX125. The motorcycles are powered by a 125cc SOHC single-cylinder air-cooled engine that produces 9.5PS of power. 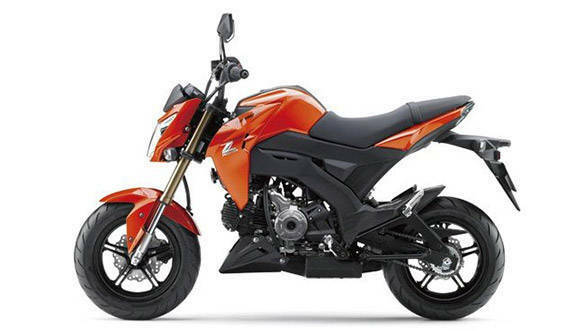 The Kawasaki Z125 is mated to a four-speed automatic transmission while the Z125 pro gets a manual. Both the bikes get a 100/90 R12 wheel at the front and 130/70 R12 at the rear. Braking duties are carried out by 200mm and 184mm discs with single piston callipers, while suspension comprises of a 30mm USD fork and a monoshock, at the front and rear, respectively. The 101kg bikes also get an underbelly exhaust. 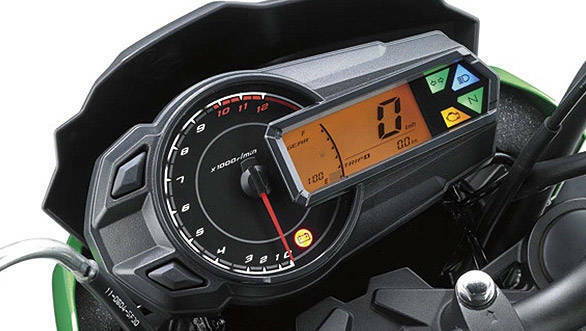 The instrument cluster gets a digital speedometer with an analog tachometer, fuel gauge, gear indicator, clock, odometer and a trip meter. Styling cues are borrowed from the Z125's bigger siblings - the Z800 and Z1000. The bikes are expected to come in three paint schemes. We are sure that these motorcycles will not make it to the Indian market.